In this game of skill we will have to be very careful with the totem to fulfill our mission without destroying it. 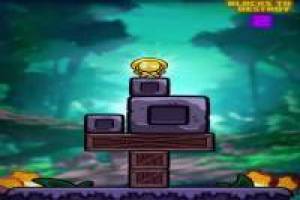 At the top of the screen you will find the number of blocks that you have to eliminate to complete the level successfully. Always being careful because the totem can not touch the main platform. Stone blocks can not be eliminated but the rest can. 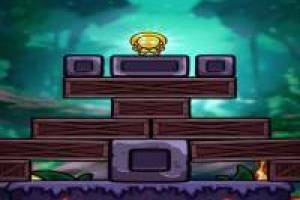 You will have to be very agile to remove the blocks and leave the minimum to get that totem does not fall and stay on top of one of them. First of all, you must not destroy the sacred totem. 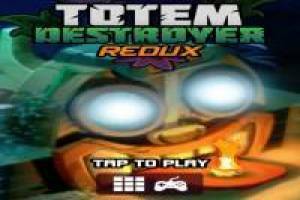 Enjoy the game Do not destroy the Totem, it's free, it's one of our Ability games we've selected.